The most feared predator in the ocean received new protections today when a California commission decided the great white shark should be studied as a potential endangered species. The Fish and Game Commission unanimously voted to advance the candidacy of the shark, which means during a one-year study review it will receive the same protections it would if it were listed as endangered. “The status review will give us better information on the white shark population off the West Coast and threats to its survival. That will give us the ability to make an informed decision about whether or not to list the white shark as endangered under California law,” said newly elected commission president Michael Sutton. Great white sharks are internationally protected and already can’t be targeted for catch, but California’s move would take protection one step further. During the review, the sharks will receive even more safeguards, and the immediate effect will be a ban on incidental takes by net fishermen, who opposed the review. “The population is not dwindling. We’re seeing more encounters all the time,” said Andrew Rasmussen, who gillnet fishes for sea bass off the coast of Santa Barbara and argued against new protections. He said he catches about one juvenile shark in his nets every two to three years, and many are tagged alive and released. Another impact will be at the Monterey Bay Aquarium, where an open oceans exhibit often features a great white shark. Chris Harrold, director of conservation research, told the commission that the aquarium had decided against exhibiting a great white during the review. “We hope any decision you make will allow for ongoing research,” he said. Scientists have not been able to get an accurate count of great white sharks worldwide, but the petition from the conservation organization Oceana and two other groups was aimed at a subspecies that lives along the California coast. A study two years ago by UC-Davis, Stanford’s Hopkins Marine Station and others estimated the population at around 220, though little else is known about their breeding and migration habits. Other studies have put the number at 350, and state researchers hope to get a better estimate during the review process. 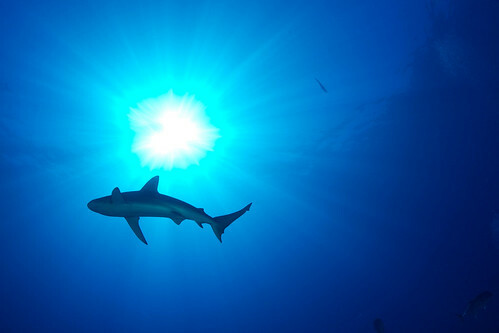 In the meantime, researchers and gillnet fishermen will have to apply to the Department of Fish and Wildlife for permits to tag or accidentally capture a shark, which will hold up fishing along the California coast, at least temporarily. “As of candidacy, incidental take is illegal,” said Adriana Shea, deputy executive director of the commission. The staff of the Department of Fish and Wildlife had recommended the petition move forward. Another proponent was Assemblyman Paul Fong, D-Cupertino, who was the author of last year’s successful bill to ban shark finning. “The loss of an apex predator can have devastating ecosystem consequences,” he told the commission. Great white sharks became universally feared after one was featured in the movie “Jaws” terrorizing beachgoers in a New England town. They make the news when they attack swimmers, and a California surfer died from a white shark attack off the coast of Santa Barbara County in October. Another fatal attack occurred two years prior in the same area.